What Happened to Perceptual-Motor Programs at Elementary Schools? In the world of education, frequently the baby gets thrown out with the bathwater, and that was certainly the case when perceptual-motor programs vanished from our nation's elementary schools. Many of us middle-aged parents fondly remember perceptual-motor programs from our early years—crawling through large wooden triangles and squares, walking heel to toe across a balance beam, skipping through a maze of traffic cones, and jumping in and out of hoopla hoops. While moving from station to station—each monitored by a teacher or parent volunteer—we had fun while improving our gross motor skills, balance, and coordination.Yet, perceptual-motor programs in U.S. public schools have largely become a thing of the past because they don't result in the measurable academic achievements that bureaucrats demand. Why Did We Get Rid of a Program That Promotes Coordination, Movement, and the Body-Mind Connection? Unfortunately, just as some schools reduced or even eliminated recess, others let their perceptual-motor programs die out so they could add more “academic minutes.” They foolishly disregarded the critical connection between body and mind. As children become hooked on technology at younger ages—leading to sedentary lives, obesity, bad posture, and poor gross motor skills—parents should demand the return of perceptual-motor programs to elementary schools. More and more research supports the idea that a strong body builds a strong mind so merging these findings into the curriculum makes common sense. A Perceptual-Motor Program in Action! Just because researchers couldn't show a direct correlation between perceptual-motor programs and increased academic achievement does not mean perceptual-motor programs have no merit. Teachers who conduct the program and parents whose children take part in it attest to its benefits—most noticeably, children who are having fun, moving more efficiently, and thriving at performing activities that combine both physical and mental challenges. Nobody who has seen the program in action can doubt its worth. We don't expect increased academic achievement from art and music classes—accepting that they're beneficial for their own sake—so why do we expect it from perceptual-motor programs? 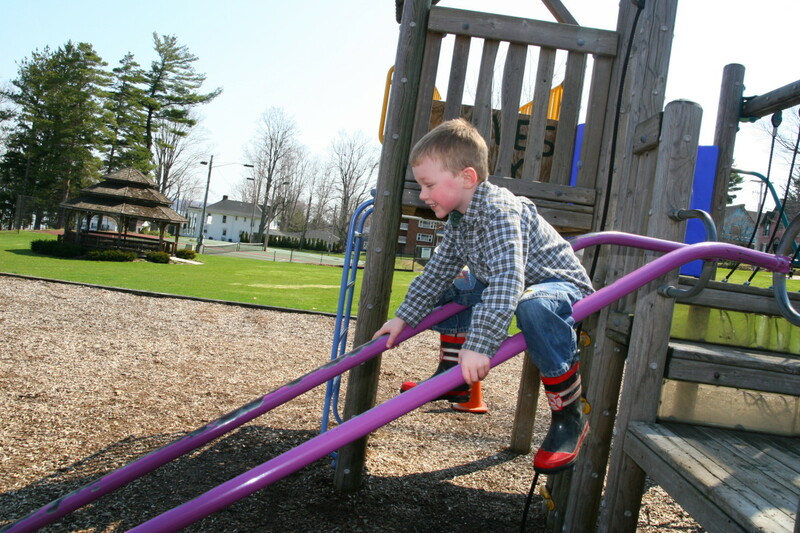 Gross motor skills involve the large muscles in the body such as the torso, arms, and legs. Gross motor activities include running, skipping, and jumping. They also include throwing and catching a ball, going up and down stairs, pumping a swing, and riding a tricycle. They're essential to the healthy development of children – physically, emotionally, and cognitively. What is a Perceptual-Motor Program? A perceptual-motor program is for children in the early elementary school years, typically grades K-2. It's also highly suitable for preschools and day care centers. It's run by a physical education instructor or classroom teacher once or twice a week with the help of parent volunteers. 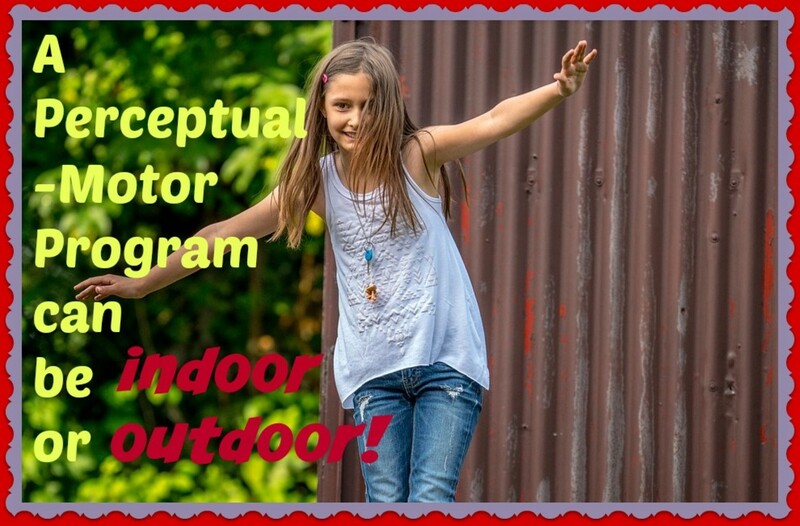 Its aim is to improve the children's fitness, balance, hand-eye coordination, gross motor skills, and self-confidence. The program also seeks to build an understanding of spatial concepts such as in, on, under, over, through, behind, in front of, and between. What Do You Need for a Perceptual-Motor Program? 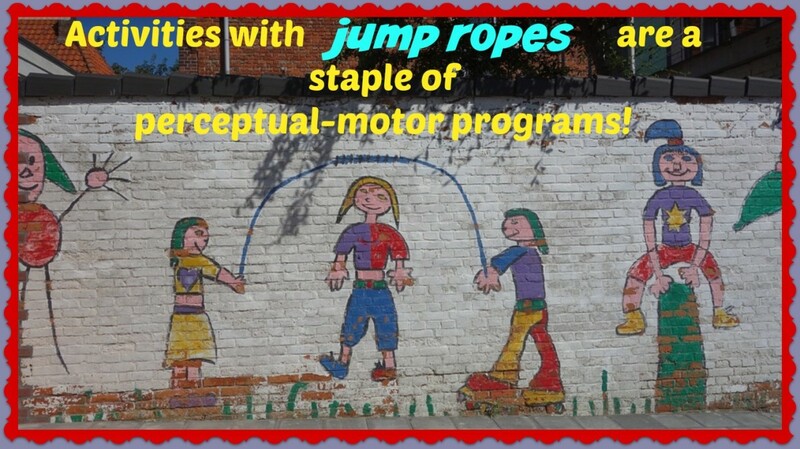 A perceptual-motor program requires safe and sturdy equipment: a balance beam, large wooden shapes with stands, a parachute, traffic cones, jump ropes, a tunnel, a mini trampoline, rubber balls, see-saws, hula hoops, ride-on scooters, and EZ Steppers. Teachers base their equipment selection on how much space they have to store it and how much money they have to spend. Some teachers buy a quality piece each year to re-invigorate their program and keep it up-to-date. How Is a Perceptual-Motor Program Run? It's best if parent volunteers set up the equipment before the children arrive. Typically, there are 3 or 4 stations—each one monitored by an adult. The teacher can create her own activities for each station or buy activity cards online. Buying activity cards online is better because the skills are sequential, building upon one another and becoming more challenging as the school year progresses. For instance, in September, the youngsters may simply walk across the balance beam. In December they may walk across it backwards. In April they may walk across it while balancing a beanbag on their head. Children get divided into small groups and each group gets assigned a station. The adult demonstrates the activity, and then the children do it. Each station lasts about 15 minutes so the children have ample opportunity to practice the skill and improve it, feeling at first challenged and then competent. When time is up, the teacher tells the groups to move to a new station. The entire program lasts 45-60 minutes. If you're like me, you remember these from childhood and simply adored them. As a preschool and kindergarten teacher, I found them to be a wonderful tool for promoting balance and coordination. It's amazing how many youngsters struggle with walking on them but feel such a sense of pride and accomplishment when they finally do. What's the Value of a Perceptual Motor Program in Today's World? In today's competitive, fast-paced high-tech world, there's greater emphasis on accelerated learning. 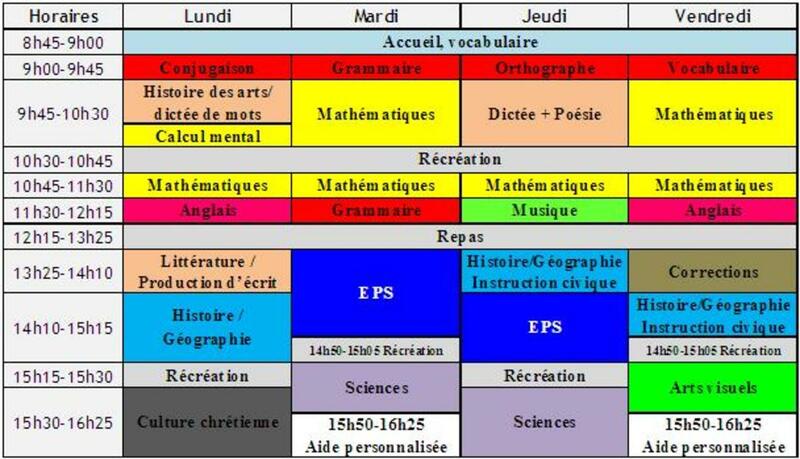 Teachers present structured academic lessons to children at younger and younger ages. We now expect all youngsters to read in kindergarten, ignoring the fact they develop at different times and at different rates. To keep up with elementary schools, many preschools have also added structured academic lessons as well: teaching letters and sounds, handwriting skills, math and music lessons, computers, and even foreign languages. Children are spending less time outdoors—climbing, running, jumping, chasing, and swinging—as these activities become minimized and devalued. When we combine the lack of outdoor play at school with the sedentary lifestyles at home—watching TV, playing video games, searching the Internet—we're left with youngsters who have noticeably poor gross motor skills. Current research in education and psychology show a close relationship between a child's perception (ability to process what he takes in through his senses) and his motor (movement) skills. Research shows children with adequate perceptual motor skills have more self-confidence, greater body awareness, and improved coordination. Physical activity builds neural pathways—the connections by which information travels through the brain. A youngster whose brain has more neural pathways will learn more easily. Perceptual motor programs strengthen bilateral coordination—the ability to coordinate both sides of the body at the same time in an organized way. Bilateral coordination is a necessary skill at school: A student writes her name with one hand while holding down the paper with the other. She holds scissors in one hand while turning the paper with the other. She guides a pencil with one hand while keeping a ruler steady with the other. All communication skills—speaking, reading, writing, and gesturing—are motor based. What Is Crossing the Mid-Line and Why Is It Important? Occupational and physical therapists often talk about “crossing the mid-line” when working with clients. Crossing the mid-line refers to the imaginary line drawn from the head to the feet, separating the left and right halves of the body. Crossing the mid-line means that a body part—the hand or foot—can spontaneously move over to the other side of the body to work there. Why Is Crossing the Mid-Line Important to Children and How Can a Perceptual-Motor Program Enhance It? A child's ability to cross the mid-line is important both cognitively and physically. Cognitively, an inability to cross the mid-line may signal that the left and right hemispheres of the brain are not communicating with one another. Physically, if a youngster avoids crossing the mid-line, both hands will get equal practice at developing skills and hand dominance (a preference for left or right) will become delayed. This adversely affects fine motor skills such as handwriting because the child struggles with crossing over to write from left to right on the paper. It may also cause difficulties with reading as the youngster struggles to track words on the page from left to right. 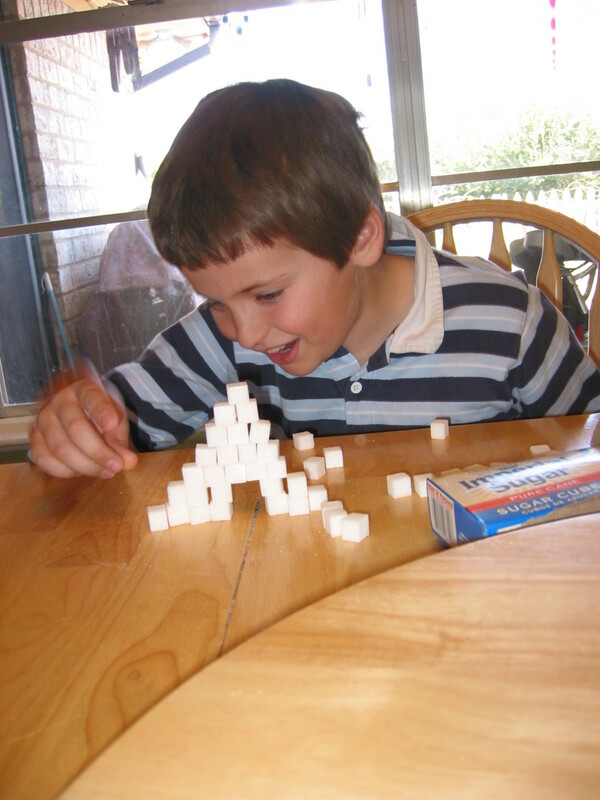 Perceptual-motor programs include many activities that give children practice at crossing the mid-line. They include reaching for balls and beanbags across the mid-line and then throwing them at a target. They also include crossing one foot over the other while walking sideways and touching a right elbow to a left knee and vice versa. Did you have a perceptual-motor program at your school? The push for early structured academics combined with the demise of perceptual-motor programs is causing problems for our youngest learners. 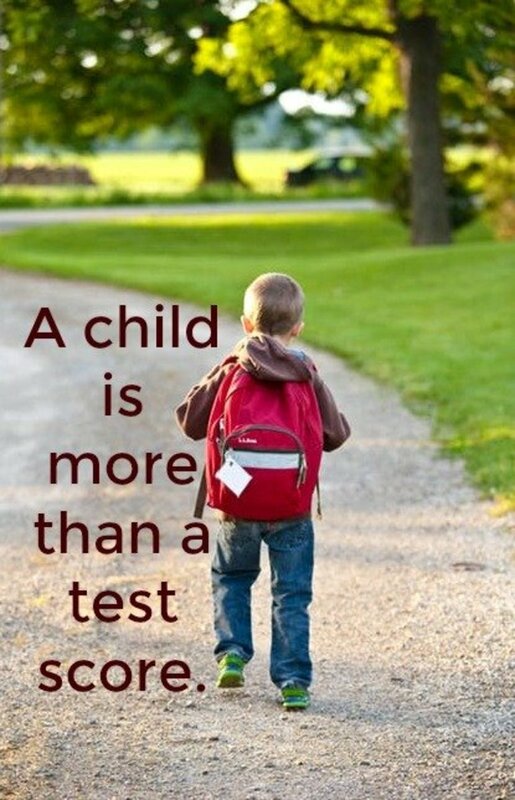 Many children lack the stamina, coordination, balance, and self-confidence to succeed in school. Many kindergarten classes are now all day, not half day, and children get overwhelmed with teacher-directed lessons that require them to sit silently at their tables and listen for extended periods of time. 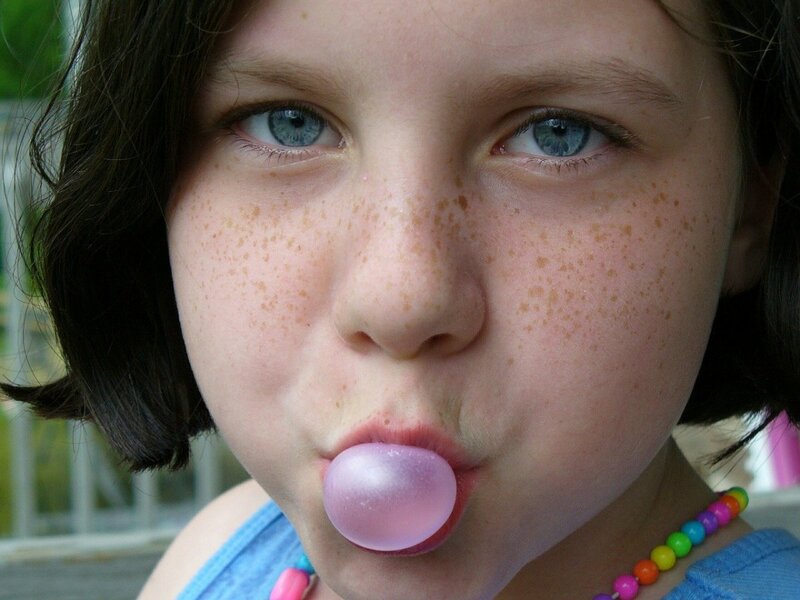 We've seemingly forgotten that little kids learn best by doing. They need to interact with their environment and process information through their senses. It has become abundantly clear that curriculum decisions are made by those who understand little or nothing about child development. Youngsters today lack the motor skills that are the foundation for academic activities such as reading, writing, and speaking. Bureaucrats continue to make poor choices for our children—emphasizing rising test scores over creating well-rounded people who are strong in body, mind, and soul. Parents, anxious over the children's future—their ability to get into college, gain employment, and earn a living —remain silent. They need to speak up and ask their schools to bring back perceptual-motor programs for the sake of our children. I haven't heard about perceptual motor programs for years but remember them fondly from my childhood. How can I get one going at my kids' elementary school? Starting a perceptual-motor program at your children's elementary school would be a great benefit for the youngsters, and I commend your willingness to spearhead it. You could start small in kindergarten and, if it's a grand success, expand it to include all the primary grades. My advice would be to get the PTA behind you after first getting a green light from the principal (if you don't have her approval, there's no use in wasting your time). You can convince the principal by assuring her that parent volunteers (not the already over-worked teachers) will run the program and purchase the necessary equipment. You should also discuss with her whether the program will be part of the regular P.E. program or something separate. If she wants it to be part of the P.E. program, you'll need to work with the P.E. teacher. Most elementary schools did away with perceptual-motor programs because they didn't have enough parent volunteers to run them. When I participated in the program as a kid, it was run completely by five moms who set up the equipment and ran each station. The teachers were 100% on board with it because it gave them a period to work in their classrooms, make copies, return parent phone calls, and write lesson plans. When I taught kindergarten at an inner-city elementary school, the other kindergarten teacher and I ran the perceptual-motor program by ourselves with the help of our teaching assistant. It was difficult because we had to set up the equipment before school started and take it down while the kids sat patiently on the bleachers. We could only have three stations so the kids had to wait for their turn. It wasn't ideal, but it worked. Teachers today, though, are under more pressure with testing, assessments, and Common Core standards so I doubt they would be willing to take on a perceptual-motor program. I imagine some younger teachers have never heard of perceptual-motor programs and would be keen to learn more. With children watching 7+ hours of screens each day, perceptual-motor programs are critical for developing balance, coordination, gross motor skill, and the body-brain connection. Good luck! Thanks, Andreea. The time is ripe for perceptual-motor programs to make a comeback. Preschoolers and kindergartners are spending exorbitant amounts of time on screens. They start school with poor motor skills and coordination. They often struggle to listen and follow directions because they're used to the fast-paced, immediate gratification from technology. 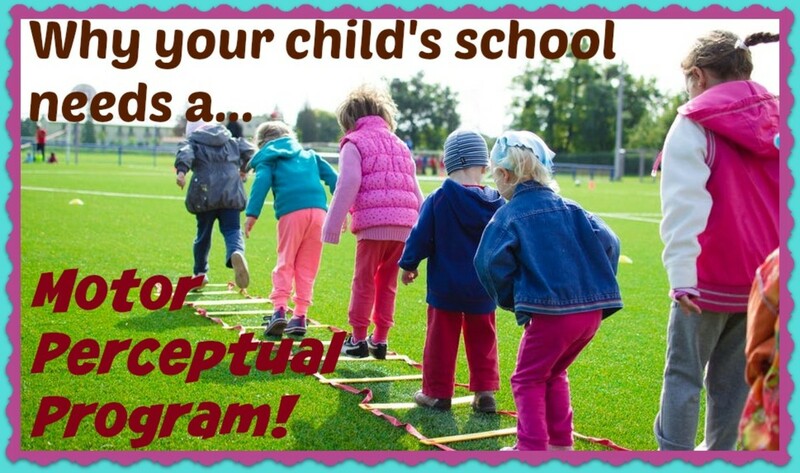 A perceptual-motor program enhances the skills that kids are lacking. Plus, it's developmentally appropriate, fun, and builds self-confidence. Thanks, Kathryn! That makes me feel good to hear my efforts are helpful. I just printed this up and handed it to my son who has a two year old. THANK YOU!!!! !